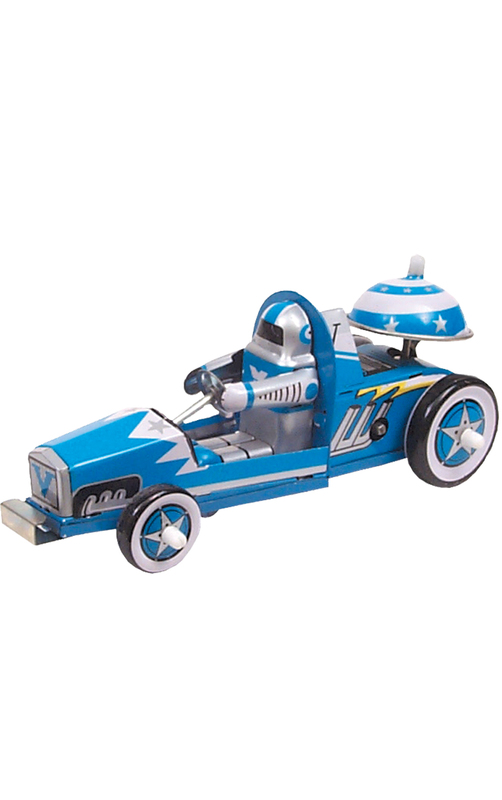 MS269 - Tin Toy - 2.5H x 2"W x 5.5"D"
MS269 - Collectible Tin Toy - Racer Car - 2.5H x 2"W x 5.5"D"
Blue tin racing car with driver in flame-resistant suit. Key-wind - when car is released - it races away and rings the bell on the back - made in China. Recommended for adult collectors.